In this article, we will show you, How to write a Python Program to Put Positive and Negative Numbers in Separate List using For Loop, While Loop, and Functions with practical example. In this python program, we are using For Loop to iterate each and every element in a given List. Inside the loop we are using If statement to check whether the list item is Positive or Negative. Based on the result, we are appending that item to Positive list or Negative list. 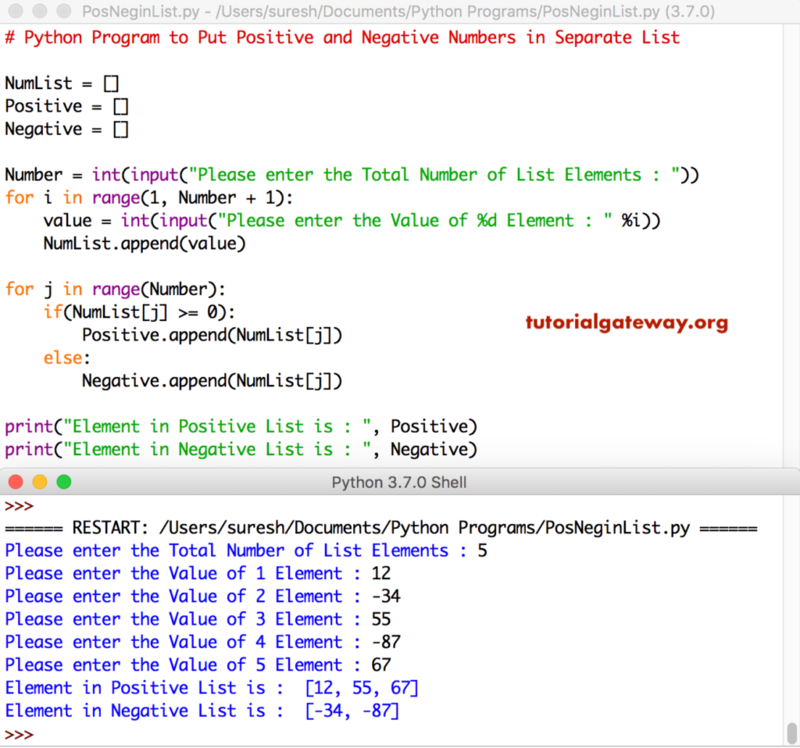 This program to place positive numbers in Positive List, and negative numbers in Negative List is same as above. We just replaced the For Loop with While loop. This program is same as first example. However, we separated the logic using Functions. Remember, instead of writing separate functions for Positive and Negative, you can also write single function.